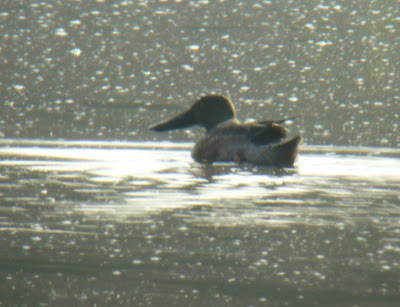 I am just writing to report a couple of bird sighting that I had last week while leading a VENT tour with Kevin Zimmer. On Wednesday Feb 6 around 8:30 am we had a White-eyed Vireo that was very vocal. The bird was on the road to the spillway area in Gatún Locks; I was able to get a decent recording of it. In the same area we had about 6 females Indigo Bunting plus a pair of Dickcissel. 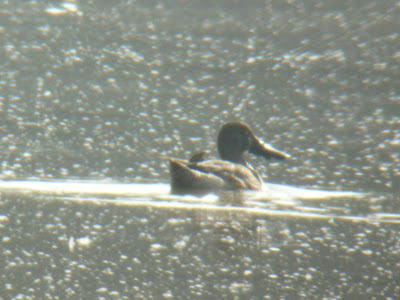 On Friday Feb 8 in Tocumen marsh I had a nice Northern Shoveler. I was able to get a picture of this bird that was very far away as you can see a little bit of the white crescent that show on the side of the face. 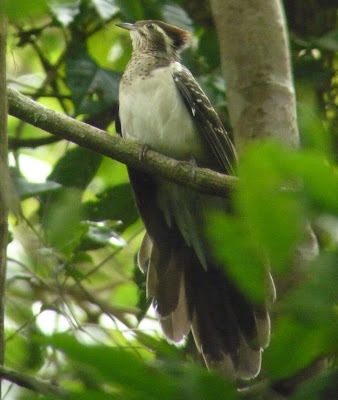 Also attached is a picture of that elusive bird, the Pheasant Cuckoo, that I saw on Plantation Trail this morning. They are getting into the season since they have been very vocal lately.